I feel incredibly blessed that eight years ago, September 2010, we launched the first issue of Green Living magazine. As the publisher, I want to thank you personally for reading and providing valuable insight on the content for however long you have been a reader of ours. I am sometimes asked, “How do you measure the success of Green Living magazine?” And my answer is always the same: Our success can be found in the feedback from our readers. When I hear directly from a reader that they have learned something new or simply enjoyed one of our articles, I feel the success of the magazine. When someone tells me that they picked up the magazine for the first time and read it cover to cover, I feel the success of the magazine. Our success is also measured by the value of our outreach events. After participating in or running an eco-event, it’s a thrill to receive messages from attendees saying they enjoyed the learning opportunity, the new information and resources, and the chance to create important business and personal relationships. We are extremely excited to bring you this month’s issue, which includes topics we know you’ll find an interest in. Learn about the “Tikkun Olam 3: Repairing the World” art exhibit at the Arizona Jewish Historical Society, opening October 7. September is fashion month, so stay apprised of what fashion designers are doing around the state to be more environmentally conscious, and don’t miss our article on Recycled Fashion for back-to-school, which was shot at the North Phoenix Waste Transfer Station. We also participated in our first-ever movie screening for “BLUE ,” a film about marine conservation; read about the actions viewers are taking after watching the film. You will also learn new insights on the past, present and brighter-looking future of Black Mesa. Finally, if you are in the spa industry, we invite you to participate in an international spa conference that we will be hosting with the attendance of Daymond John and many others. 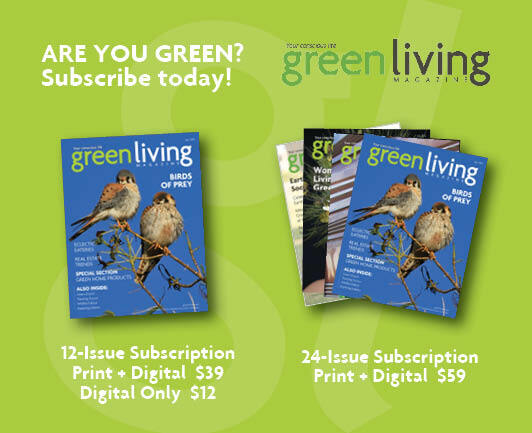 The last eight years of publishing Green Living magazine would not have been possible without you. I am also incredibly grateful to have had the opportunity to work alongside so many talented and hardworking colleagues, writers, editors, copywriters, photographers, videographers, interns, creatives, readers, and partners over the years. Thank YOU for your continued support! We love YOU! I love to hear from our readers! Congratulations! And thank you, Dorie. Indeed it has been an honor and a pleasure to see the development, growth and sustained success of this fantastic publication. Each and every issue is a treasure, and it is so amazing to see Green Living Magazine maintain this wonderful publication without the added cultter we find in so many magazines. Green Living Magazine is educational, fun, informative, challenging, and fair. The unique and exclusive features you bring to your readers month after month only enhances our devotation to you.